In a business climate saturated with self-storage businesses, it’s important to stand out. Learning how to get your own advertising van is an easy step in the right direction. The Storage Affiliate Advertising Van program helps storage owners fill their self-storage rooms by providing them with a mobile advertising method. Traditional advertising costs a lot of money. In contrast, the Advertising Van is an affordable yet effective tool for storage affiliates. Americans report spending an average of 15 hours/week in a car, either as a driver or passenger. While they’re sitting there, they’re looking at the cars around them, reading the sides of trucks. Individual vehicle advertising generates between 30,000 and 70,000 daily vehicle impressions. Even more, studies show 95% of people who read mobile billboards recall what they read. Be an active U-Haul Dealer Affiliate using our business platform, WebSelfStorage. Not a U-Haul Affiliate? Become one today. You only offer Safestor® tenant insurance to your storage customers. Only offer U-Haul moving supplies or supplies branded with a personal logo. No competitor’s moving supplies. Use our WebSelfStorage reservation process on your website. When applying you’ll need to provide your business and contact information. You’ll also want to have your Dealer/Affiliate Code available. As an affiliate, dealer or self-storage owner, one should have been assigned to you. At this time, you’ll also need to choose between the type of graphics installation you desire. Premium Graphic Installation: If you choose the premium option, your van will feature images with your business information and logo. An even better benefit? 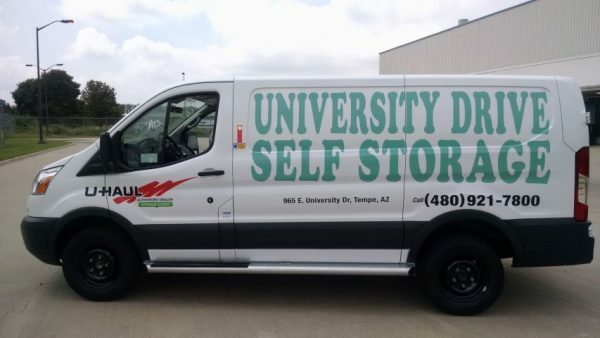 With either option, a new van will be delivered to you every year you’re enrolled in the program. Hear from the owner of Westlake Storage in Westlake Village, CA about how having an advertising van has improved his business. When your truck is complete, it’s ready for delivery. We will deliver your custom imaged advertising van to your facility at no cost to you. Even more, the best part is the advertising van does not need to stand still. That means it can move at any time! Moreover, customers can even rent the van to easily load or unload their storage unit. 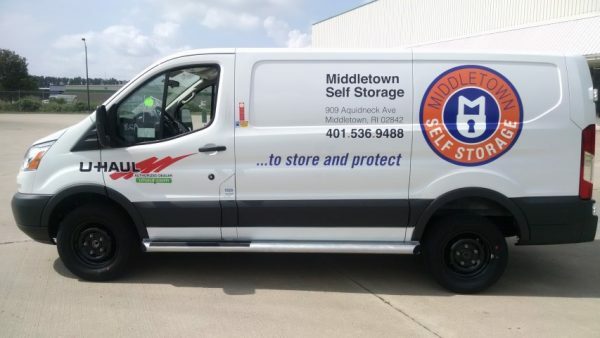 Above all, an Advertising Van can boost visibility for your self-storage business while providing valuable customer service. If you’re interested or have any further questions, you can visit the Storage Advertising Truck website or call (602) 760-4993.